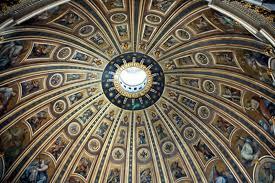 I am not a Catholic but I have been to Rome and poked around the Sistine Chapel and admired the ALL MARBLE artwork in St. Peter’s. I live in the diocese of Lincoln and it is considered one of the nation’s most super-conservative. I often roll my eyes when I find out their most recent outrageous – by my standards – ruling. I have just exhausted my qualifications for sharing my opinion on the new pope. The world was shocked by Benedict’s resignation, and I found it stunning as well. It seemed like a situation they wanted to solve before Easter. The images from Angel’s and Demons (both the novel and the movie) informed my idea of what the conclave was undoubtedly like. The College of Cardinals provided white smoke in short order! There are three things about Pope Francis that in my mind are blue ribbon. He seems to be outspoken about care for the environment. Responsibility for the great gift of our planet is something that I also take seriously. Bravo, Francis. His life has been about ministry to the poor and marginalized. The gospels, as I read them show that as Jesus’ way. Bless you, Francis. And what about getting out there with the people! How I love that. Reports are that he touches and hugs them. Comedienne, Paula Poundstone, recently quipped that the pope rides around in an aquarium, and when you think about it, it’s sadly true; but not for this guy. Be brave, Francis. Your Swiss Guards are going to try to isolate you but don’t let them do it. There’s danger outside that aquarium, but we have a fairly important model of taking the risk. I will not name the two topics that I disagree with Pope Francis about, because this is about a fresh start. God made our experience so we get to do it every day. Catholics have had some rough times lately and they took this strange opportunity to have a terrific fresh start. It’s fun for me to think that some of the Cardinals are wondering what they’ve gotten themselves into. Surely that is something every faith pilgrim should wonder from time to time. So far, I am a fan of Francis. Welcome new world! Wonderful words. We can disagree with some things, and like the others. I pray that the Catholic church can heal and get on with the work that they are called to do. Go Pope Francis.